Nissan have revealed a couple of brand new campervans at the 2018 Madrid Motor Show, including a zero-emissions all-electric camper. 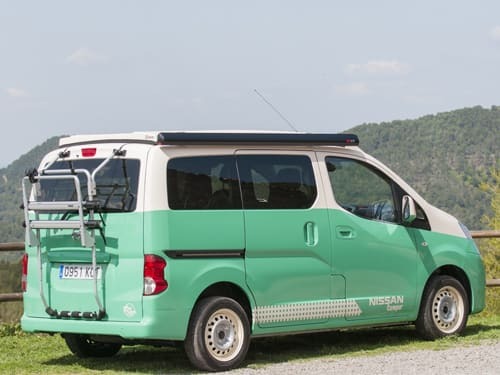 At this years 2018 Madrid Motor Show, Nissan have revealed a set of campervans that are based on their NV-range of commercial vehicles. 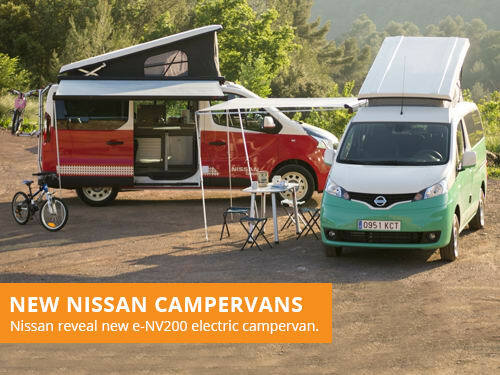 The two new models shown are a all-new Nissan NV300 camper and a zero-emissions all-electric e-NV200 camper. 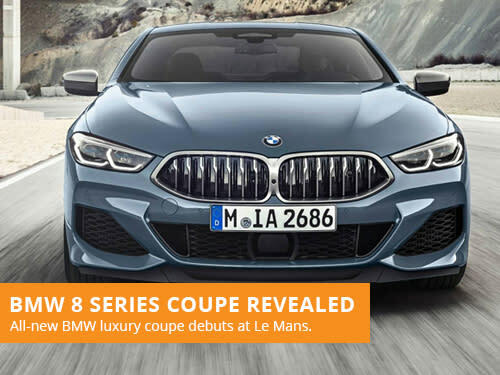 Though currently exclusive to the Spanish market, these models have the potential to be released across European markets in the future. Little information about the models have been released at this stage, with only a few images and a short press release. It has been confirmed however that the fully-electric e-NV200 is powered by a 40kWH battery pack with an expected range between 124 and 187 miles. The NV300 camper on the other hand will be available with a range of 1.6-litre diesel engines. 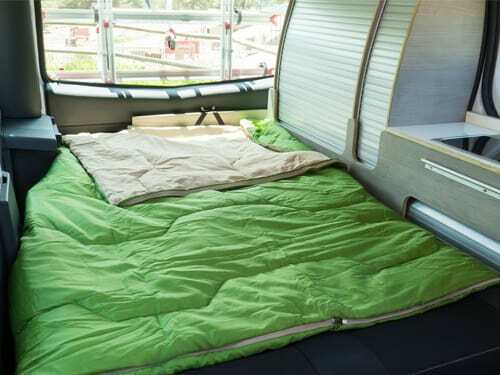 Both campervans will feature an extendable roof, bike racks, roll-out shade and furniture. The interiors for both also includes a small kitchen with a sizeable refrigerator, sink, hob, dining table and heater. 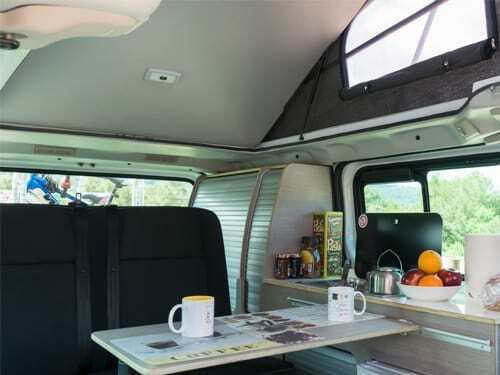 There is also plenty of room for occupants to sleep with a double bed in the smaller variants and a second double bed in the larger NV300 camper when the roof has been raised. 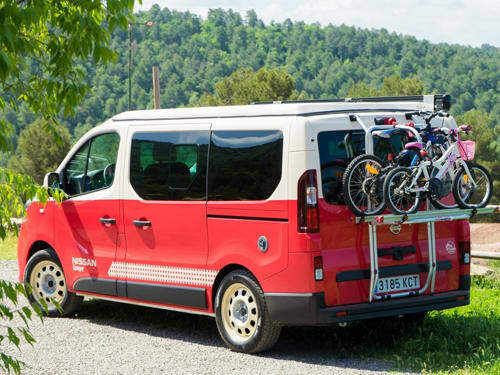 Nissan are yet to confirm whether the campervans will be available in the UK. If you are looking to lease a Nissan, take a look at our offers. With over 36 years of leasing experience, we are one of the most established brokers in the industry. Our leasing consultants focus on providing great customer service over our own profits, with a flexible and consultative approach to vehicle leasing. 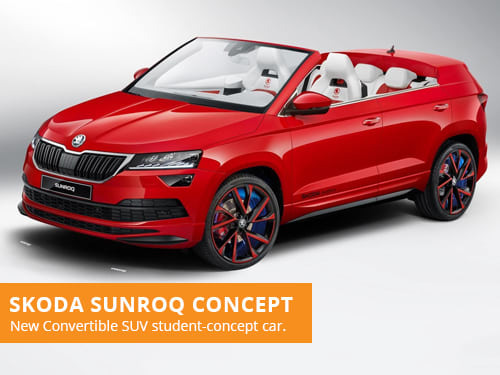 Skoda have revealed a unique new concept, that has been designed completely by students, an open top SUV aptly named the Skoda Sunroq.